Some might think demolition is child’s play, but it is not, it is more complicated than construction. Industrial demolition projects are daunting tasks that include high amount risk and they need high amount of accuracy else they can cause major accidents. Industrial Demolition Contractors have the experience and training to offer safe operations with various hazardous substances. They have the tools, skills and trained workers to carry out the tasks of destruction. They can handle various kinds of demolition work in the industry, from lumber mills and factories to oil refineries and port facilities. Find out about some of the main services offered by these contractors. Contractors with specialized certifications and expertise can deal with sites that contain chemical or environmental hazards. Experienced demolition contractors get ongoing training beyond the standards of OSHA (Occupational Safety and Health Administration) to safely operate with a variety of hazardous materials. Such efforts involve completion of projects including the rehabilitation of decommissioning plants and contaminated sites, and for chemical clean-ups following fires. Demolition contractors can help with Lead abatement. Industrial demolition contractors who are familiar with the newest processes of lead-handling are entrusted with demolition. Asbestos can be dangerous for the respiratory system once fibres get airborne. Industrial demolition contractors, when they come across high amounts of asbestos during building inspection, notify the local EPA (Environmental Protection Agency) office and work dedicatedly with EPA inspectors. 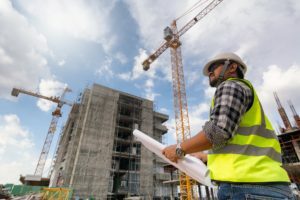 EPA inspectors evaluate the level of asbestos on-site, offer recommendation on the safest and best demolition techniques and make sure that compliance to asbestos abatement is assured. They handle projects including buildings that are unsound structurally and are at risk of collapse. 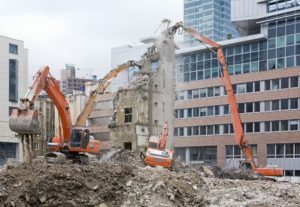 Contractors assess the safety issues that are present in dangerous or atypical structures and make use of specialized demolition machinery that maximizes safety and minimizes waste.